We have a world of discovery waiting for you! How was the Earth formed? What causes volcanoes and earthquakes? Find out about the world of rocks, minerals, fossils, and geological time. See the Earth as you have never seen it before! In Our Planet you’ll get a close-up look at a wide range of rocks and minerals, including geodes of brilliant color. 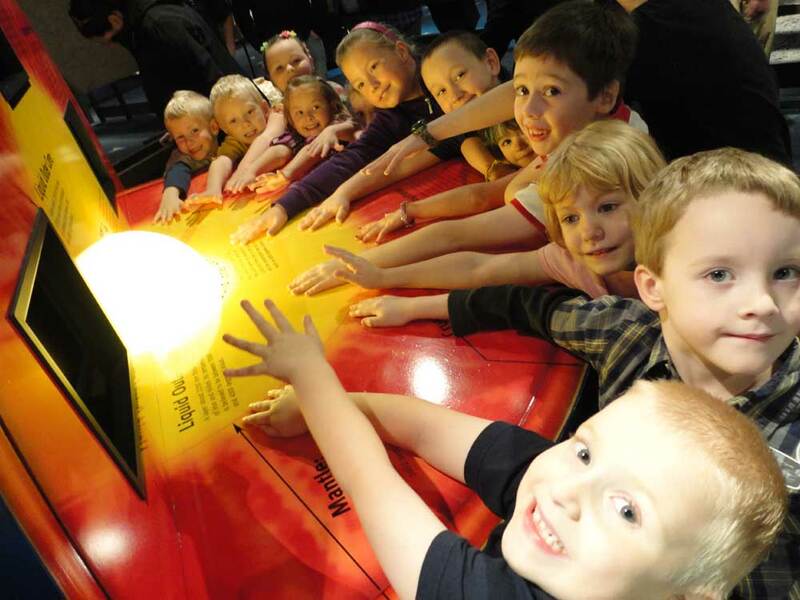 In Our Planet, you see the first of the many displays and exhibits that make the Johnson GEO CENTRE the place where learning meets fun. Look deep into a cutaway view of the Earth, and see a powerful presentation of just how old the Earth really is… and how young you actually are!